Beautiful country Sri Lanka in Asia offers a lot more to explore from old heritage sites to pristine beaches, lush highlands, and even rich wildlife. I was happy during my seven days tour in Sri Lanka. And I explored mainly the natural beauty of this country in a week. Many things I’ve loved during my seven days solo trip to Sri Lanka. Now I’m here to share my Sri Lanka travel tips and experiences so that you can also explore in a group or even solo. Are you planning a trip to Sri Lanka? 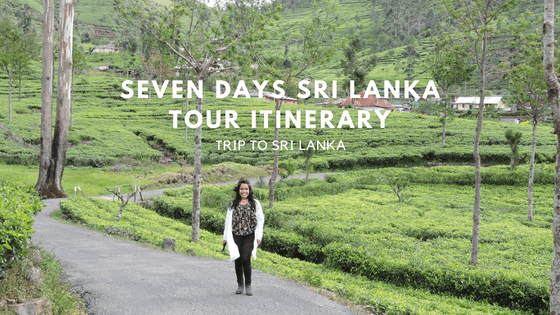 If not, my seven days Sri Lanka tour itinerary will make you pack your bag and inspire you to visit Sri Lanka soon. Sri Lanka is a perfect holiday destination for the budget to luxury travelers. And backpackers’ favorite destination as well. Don’t ask what to see in Sri Lanka, the wonder of Asia? There are many top travel destinations in Sri Lanka. In the meantime, you’ll also love many offbeat things to do for the first time during your trip to Sri Lanka. In fact, there are many other places to visit and see beyond pristine beaches in Sri Lanka. I took the direct flights to Sri Lanka from Dhaka to Colombo. Flying for the first time with SriLankan Airlines was nice. Sri Lanka offers On Arrival Visa for one month for all SAARC countries in South Asia. Sri Lanka visa on arrival cost is between $25 to $60. And the visa policy of Sri Lanka is fair enough for almost all countries worldwide. 2 Is It Safe To Travel Solo in Sri Lanka? 6 Are You On Pinterest? Click To Save For Later Read! To avoid monsoon, the best time to visit Sri Lanka from December to March. The central hill stations, south, and west coastal sides are best to explore during these months. But the east part of Sri Lanka is best to visit from the month April to September. Due to the tropical climate, you might face sudden rain as well even in the dry season. 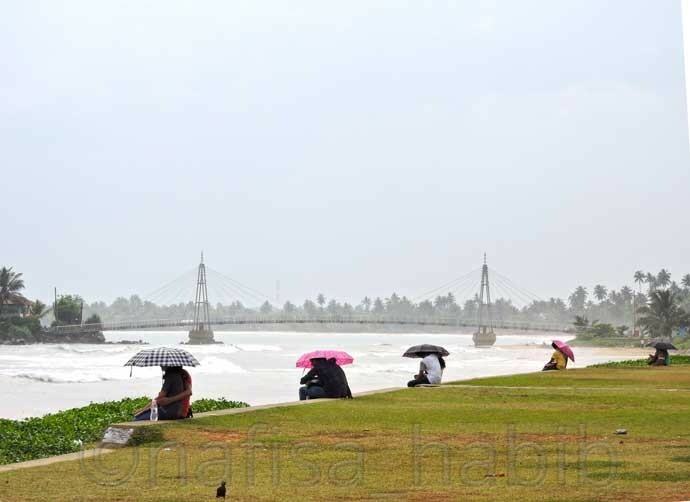 Furthermore, to avoid the trip cost you might also like to visit Sri Lanka during monsoon. Is It Safe To Travel Solo in Sri Lanka? Yes, it is. My seven days solo trip to Sri Lanka was full of fun and adventure. 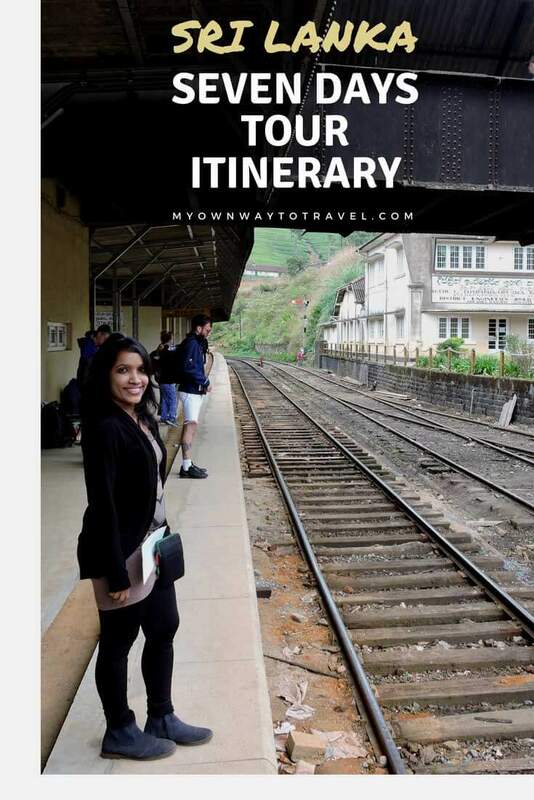 I found Sri Lanka is safe to travel even for solo female travelers. Sri Lankans are friendly and cooperative. And they don’t think twice to smile you first even you’re a complete stranger to them. I loved that. But it is always recommended not to mingle much with any guy when you’re alone. Some might come up very friendly, but you got to understand the motive. I always give more love to extreme beautiful nature than city life. And enjoy staying close to nature. So, I selected some best places to stay in Sri Lanka. There are many cheap hotels in Sri Lanka. But mostly I liked to choose budget but standard accommodations during my seven days tour and took a road trip daily by taxi from the hotel. I’ve stayed two nights at Sevana City Hotel, one of the standard budget hotels and located very near to all top attractions in Kandy. It offers you a homely stay with complimentary breakfast and Wi-Fi. 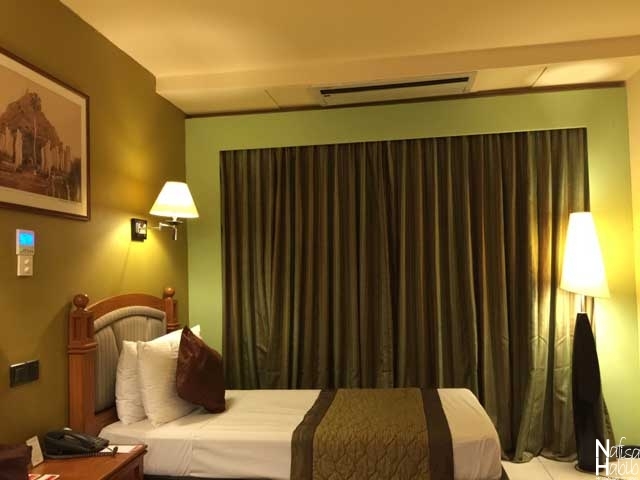 Sevana City Hotel is best for solo travelers and as well as for family stay. One night I stayed at Slightly Chilled Hotel in Nallathanniya. If you have a plan to climb Adam’s Peak, then this hotel can be the best choice for you. It offers complimentary breakfast and Wi-Fi. You can enjoy Adam’s Peak view from the hotel restaurant. This hotel is perfect for all budget travelers around. Where to stay in Haputale? My one night stay at Olympus Plaza Hotel was simply the best due to the beautiful location of this hotel. The breathtaking landscape view of the scenic Haputale from the hotel balcony is outstanding. It offers a complimentary buffet breakfast, Wi-Fi, and other standard facilities as well. A perfect hotel for mid-range to luxury travelers. 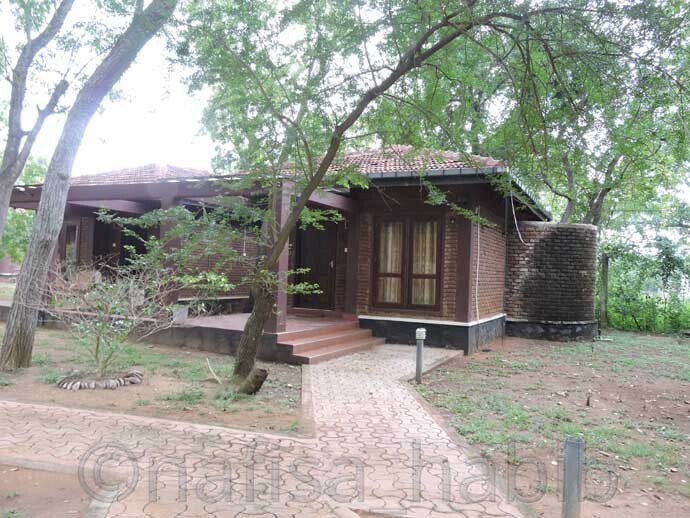 If you have a plan to visit Yala National Park, then you’ll love your stay at Neem Villas in Tissamaharama. This hotel is perfect for mid-range to luxury travelers. They can arrange a jeep safari tour for you and will provide you the complimentary packed breakfast before an early morning trip to Yala National Park. I stayed one night and loved the quiet atmosphere of this hotel, very close to nature. Neem Villas also offers free Wi-Fi and other standard facilities. I wanted to go for Whale watching by boat and so chose to stay at Latheena Resort for one night which is very near to Mirissa Fisheries Harbour. This hotel located nearby Mirissa. Just walking distance from Mirissa Beach. 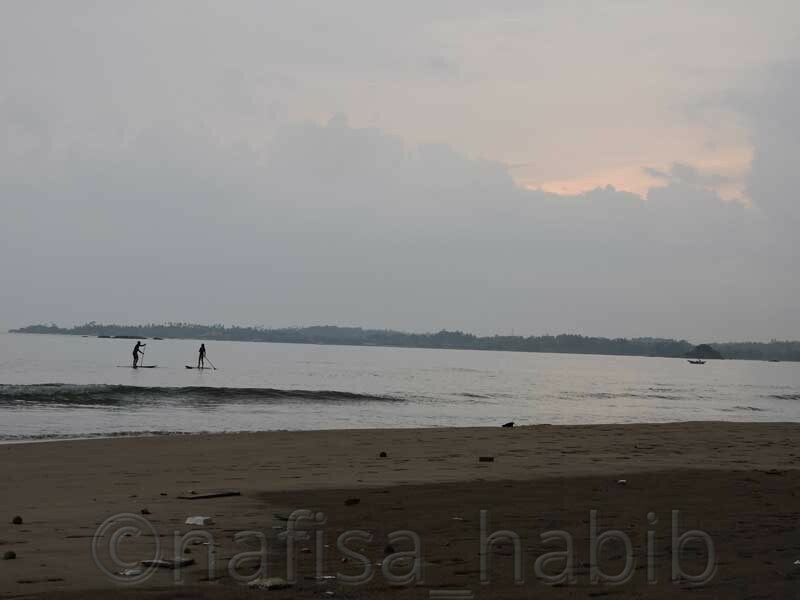 You’ll love the beach view and also can enjoy surfing at this beach. Suitable accommodation for budget travelers where breakfast and Wi-Fi are also complimentary. 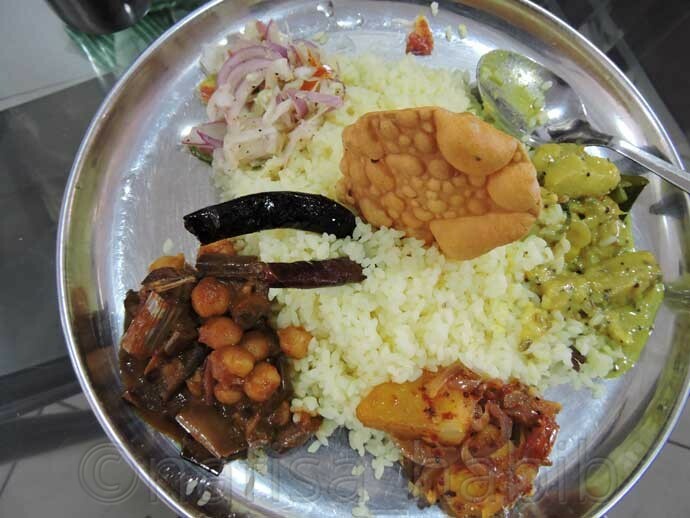 Don’t miss to have the tasty Sri Lankan food from the hotel Fujisan restaurant. 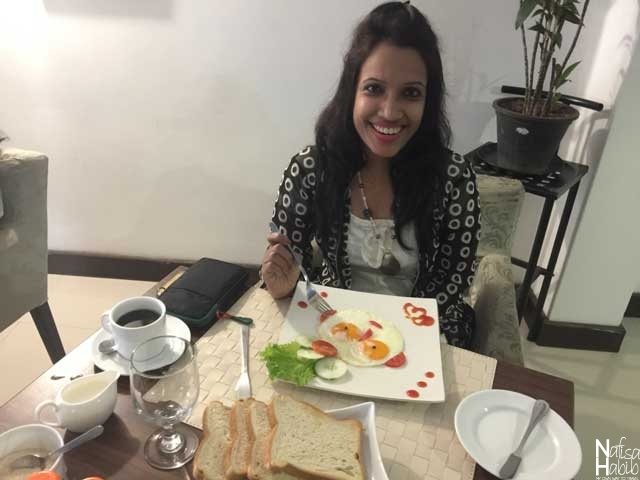 I loved my one-night standard stay at Ceylon City Hotel to explore all nearby attractions in Colombo. This hotel offers a complimentary buffet breakfast, Wi-Fi, and other standard facilities. A perfect one for mid-range to luxury travelers. I enjoyed a complimentary stay for 15 hours transit from SriLankan Airlines at Ramada Katunayake Hotel in Negombo. Next day I had a connective flight to Dhaka. Hence, as a transit passenger, I got a complimentary buffet dinner, one-night stay and shuttle service from this hotel. Overall, a perfect luxury hotel to enjoy your time in Negombo. My one week Sri Lanka itinerary will take you to explore the center, south, and, west part of Sri Lanka. 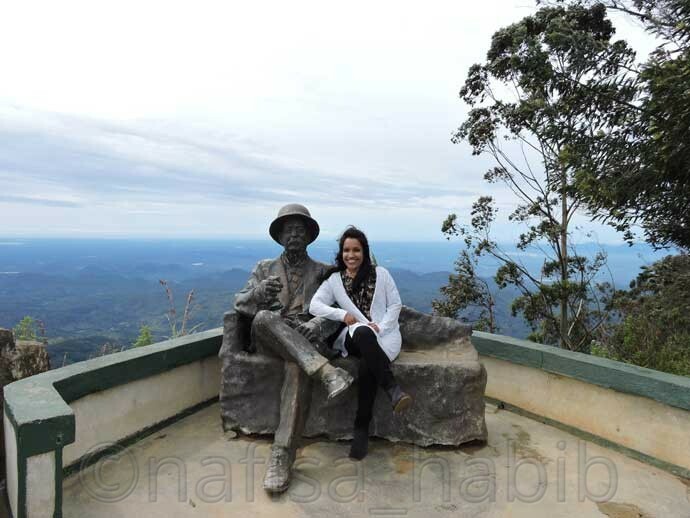 As a nature lover, I loved the stunning beauty of each hill station in the central part of Sri Lanka. The climate is also perfect to explore the lush highlands where possible to avoid the extreme heat during your summer trip here. 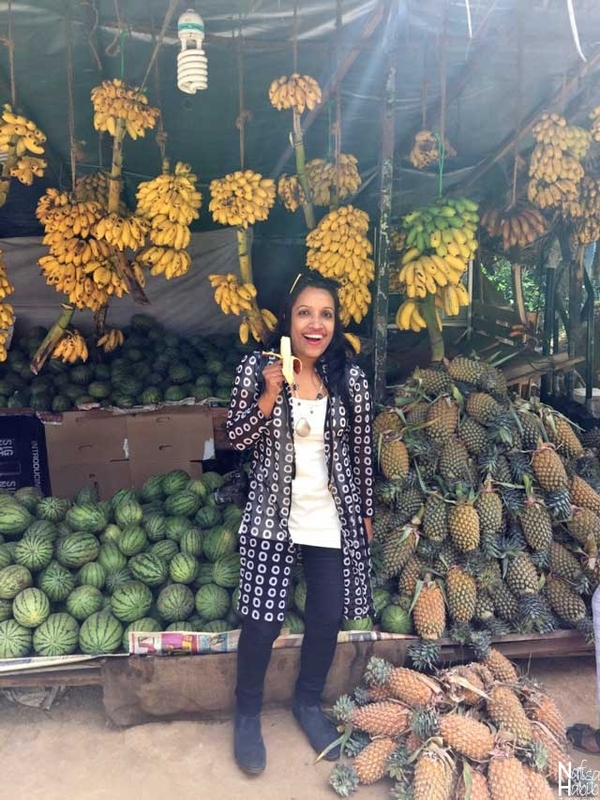 I also loved to taste many varieties of Sri Lankan food and tropical fruits on the road during my seven days in Sri Lanka. The exciting part was the scenic and exciting road trip by taxi from Kandy to Colombo. I also enjoyed a memorable short but scenic train journey from Nanu Oya to Haputale, so far my top favorite destination in Sri Lanka. I preferred to start my Sri Lanka trip from Kandy, and so directly I left for Kandy by taxi at evening from Bandaranaike International Airport in Colombo. If you don’t get the train ticket on the same day, then you might have to stay one or two nights in Colombo. 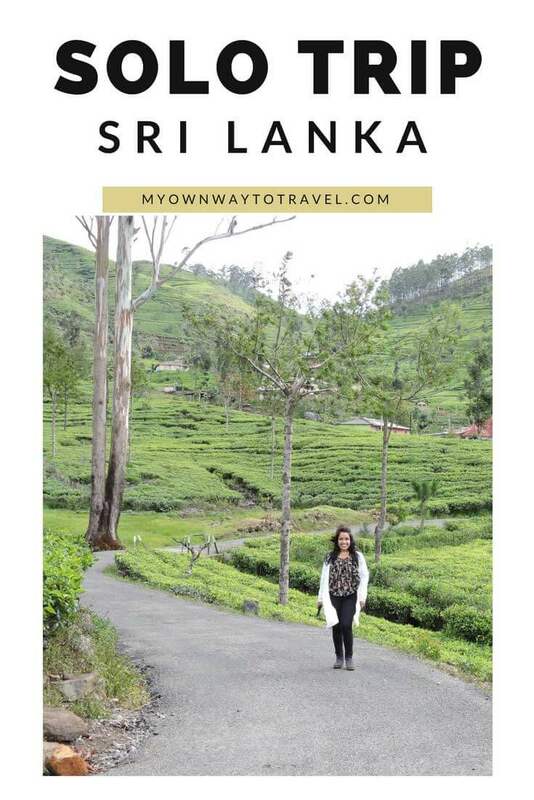 Read inside to get the itinerary along with money saving tips and my complete Sri Lanka tour experiences. 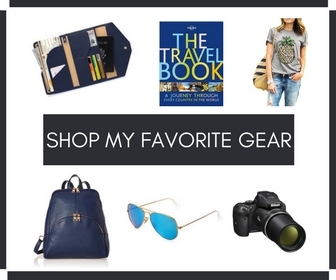 And also don’t forget to read some travel books on Sri Lanka and carry road trip essentials before your trip. The first day I kept for Kandy, UNESCO World Heritage Site and cultural city of Sri Lanka. 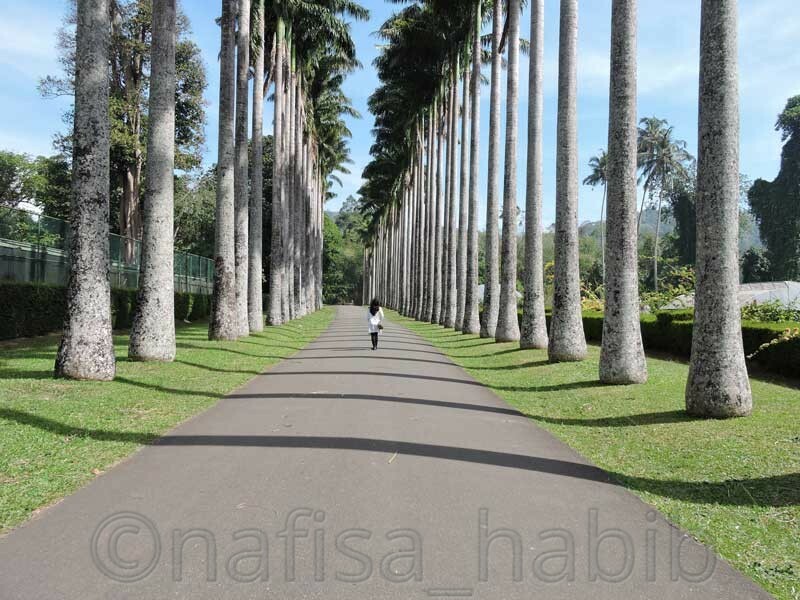 First I visited Peradeniya Botanic Gardens to explore the spectacular plant life of Sri Lanka. There are so much to explore inside the Royal Botanic Gardens. Therefore, it will take you 3 to 4 hours to visit so many attractions on 60 hectares of land. There are over 4000 spices included in one lake, suspension bridge, and beautiful lawn. Some main attractions are Orchid House, Spice Garden, Palm Avenues, Double Coconut Palms, Flower Garden, Bamboo Collection, Fernery. Palm Avenues was my favorite one. This garden is open whole year for tourists from morning to afternoon, and the entrance fee for foreigners per person is 1500 LKR. Then I loved to visit ArtLanka Batiks Factory to see the design work of Batik on fabric. They have their own Batik Shop as well from where you can buy many stylish outfits. But Sri Lankan Batik is very expensive, but the quality is the superior one. You can skip this activity from your itinerary if you don’t like. I also visited Isuru Gems & Jewellery Shop where jewelry made from original Sapphire. Sri Lanka is a famous destination for precious Sapphire. I had my first super tasty lunch with Sri Lankan staple food in less than $1 from Indian Dosai Restaurant which is located very near to Sevana City Hotel on Peradeniya Road. In the afternoon I made a walking tour from the hotel to explore nearby attractions in Kandy. On the way found Kandy lighthouse and then enjoyed the Kandy Lake beauty which is very near to Temple of the Tooth, the main attractions of Kandy. 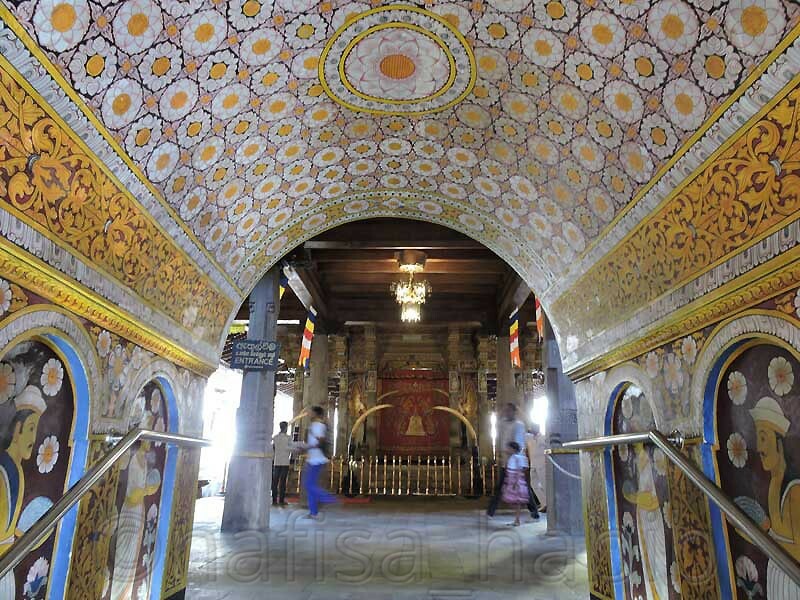 Sacred city Kandy & Temple of the Tooth are related to each other. Kandy became popular among tourists for the Sacred Tooth Relic. You can take a guide with you before exploring this historic place, and the entrance fee is 800 LKR per person. In the evening if you want can explore the Sri Lankan cultural dance show at Kandy Cultural Centre located nearby the temple. This show held every evening, and the ticket cost is 1000 LKR. Overnight I stayed at Sevana City Hotel in Kandy. Noted: If you want you can visit Sirigiya, the famous UNESCO World Heritage Site which located near Dambulla. 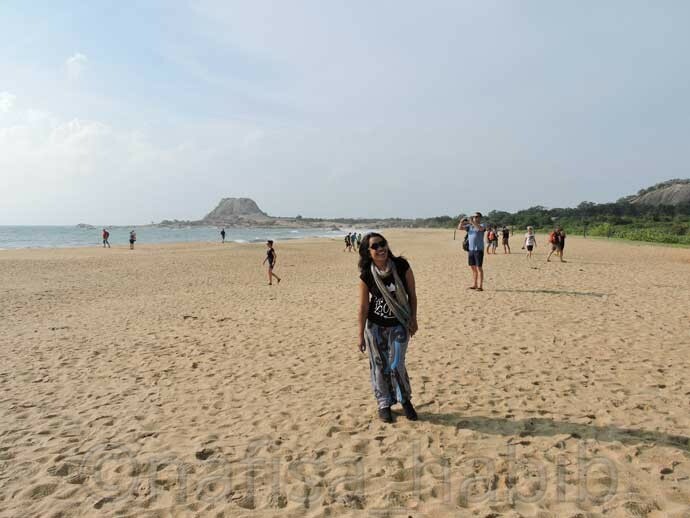 Here best to explore the popular Lion Rock or Pidurangala Rock. It will take you 30 minutes to reach Sirigiya from Dambulla. 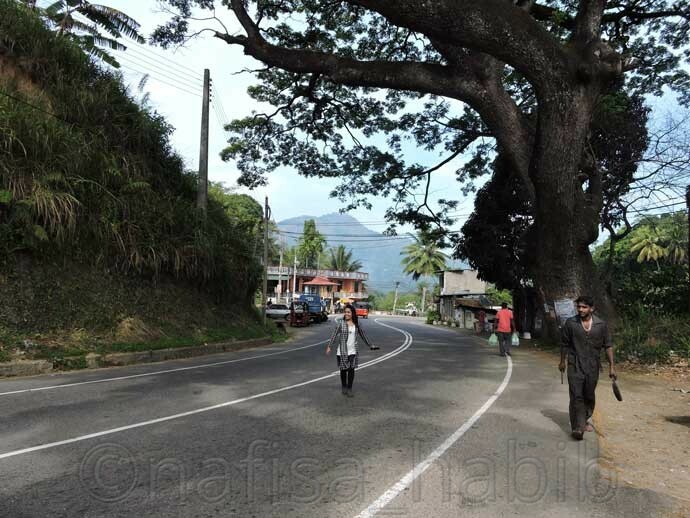 From Kandy to Dambulla distance is almost 74 km. You’ve to stay overnight to explore this top attraction in Dambulla. And then from there you can back to Kandy or leave for other places. My second day ‘s itinerary of Sri Lanka was a bit different. I just enjoyed trying many new things for the first time on the way to Nuwara Eliya hill station. You can skip those if you don’t like. It depends on your choice. First I did visit natural tea processing factory, Storefield in Gampola. Drinking eight kinds of tea at this oldest factory was interesting. And you can also buy fresh Ceylon Tea from here. How can you miss to visit a spice garden in Sri Lanka, famous for producing Ayurveda and herbal products? It was nice to know about many herbal plants at Surathura Spice Garden. If you love the service, don’t forget to give some tips to the person who guided you to explain the entire facts about any tea factory and spice garden. I tasted red banana, king coconut, and avocado, yes, again first time 🙂 from the roadside fruit vendors. The ripe avocado mixed with honey taste was yummy. 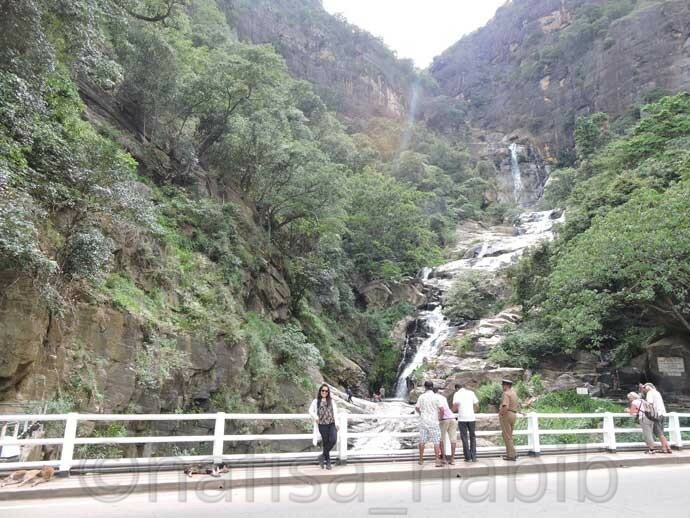 Ramboda Falls is the picturesque one to explore on the way to Nuwara Eliya. There is one particular spot before this attraction popular as Tea Bush Hotel View. You can stop a bit here to enjoy the beautiful landscape view as well as to photograph. You might also like to drink fresh strawberry juice from Adma Agro Strawberry Farm in Nuwara Eliya. 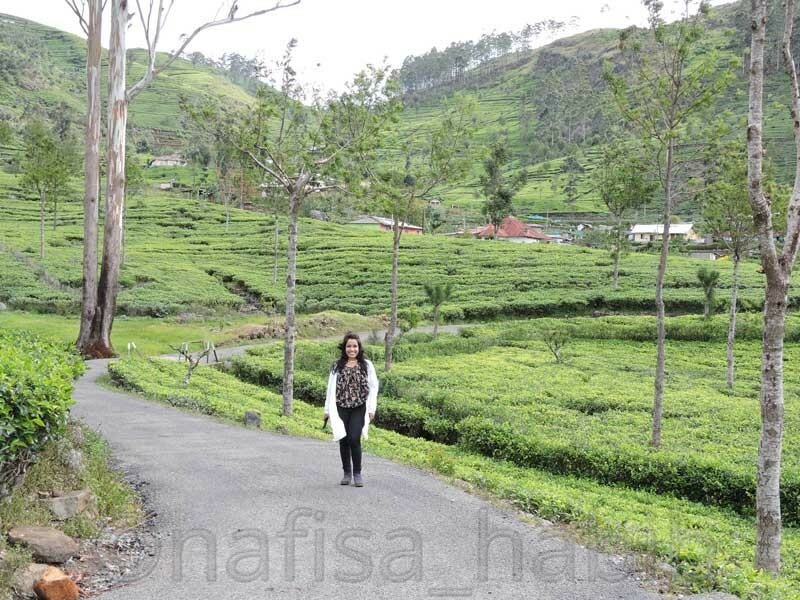 Beautiful hill town Nuwara Eliya is known as ‘Little England’ among tourists. A walking tour is interesting to visit one of the oldest church, post office, and golf clubs in Sri Lanka. There is one central market, and you’ll find many Tamil restaurants here to have even Indian food. Some other popular attractions here are Gregory Lake and Hakgala Botanical Garden. To visit this garden, you have to buy an entrance ticket. You’ll get to see many rare collections of roses here. Many Massage and Spa centers are also there in Nuwara Eliya. Overnight I stayed in Nallathanniya at Slightly Chilled Hotel to explore the next day Adam’s Peak. And so on the way to Nallathanniya also found to visit the viewpoint of St. Clair Falls and Devon Falls. The third day I had a robust adventure to the sacred Mountain Adam’s Peak. The very early morning started to see the breathtaking sunrise from the top of this mountain which is the fifth largest mountains in Sri Lanka. It was the high season to visit Adam’s Peak, and the destination overcrowded with many tourists. It took almost 8 hours and by walking and climbing nearly 5500 steep steps we able to reach the top peak of this mountain. Must take one guide with you to instruct and show you shortcut ways to reach Adam’s Peak. In the afternoon I left for Haputale by train from Nanu Oya Railway Station. The high view of Adam’s Peak is possible to see from the train to Haputale. You’ll also cross many tea plantations. Such a cool experience it was! Overnight I stayed at Olympus Plaza Hotel in Haputale. The fourth day my trip to romantic gateway Haputale in Sri Lanka was one of the memorable ones. I wish to back again here for the most beautiful postcard sceneries from 1431 meters above the sea level. 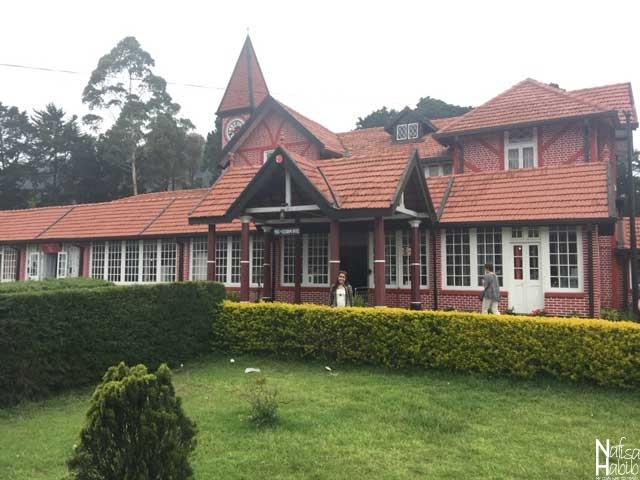 Two top attractions in Haputale are Dambatenne Tea Factory and Lipton’s Seat. Then left for small hill town Ella to explore nearby attractions. You can stay in Ella, a famous town for backpacking and trekking. Many cheap hotels and restaurants are there. This hill town is also famous for ayurvedic massage. Foot massage reduced my leg pains for climbing Adam’s Peak. You might also like body and mind relaxing with an Ayurvedic massage from any right spa center in Ella. All waterfalls are free to visit in Sri Lanka. 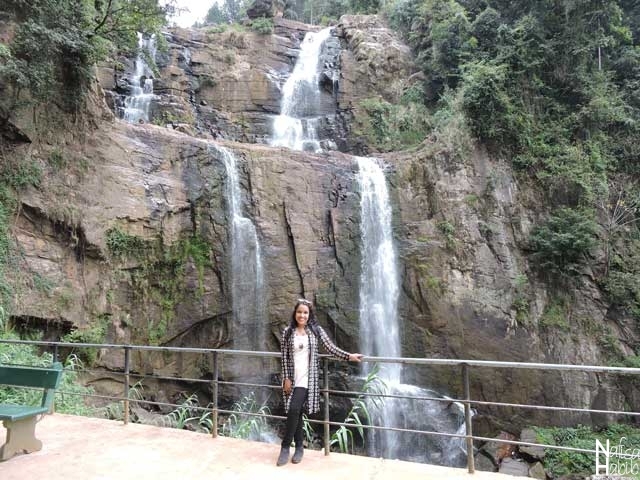 Ravana Falls is the famous attraction in Ella. You can go trekking at Little Adam’s Peak if you plan to stay in Ella. Overnight I stayed at Neem Villas Hotel in Tissamaharama to explore next day Yala National Park. And so on the way to Tissamaharama found one beautiful Buddhist Stupa and Tissa Wewa Lake to explore. You can go for an evening walk at Tissa Wewa Lake. 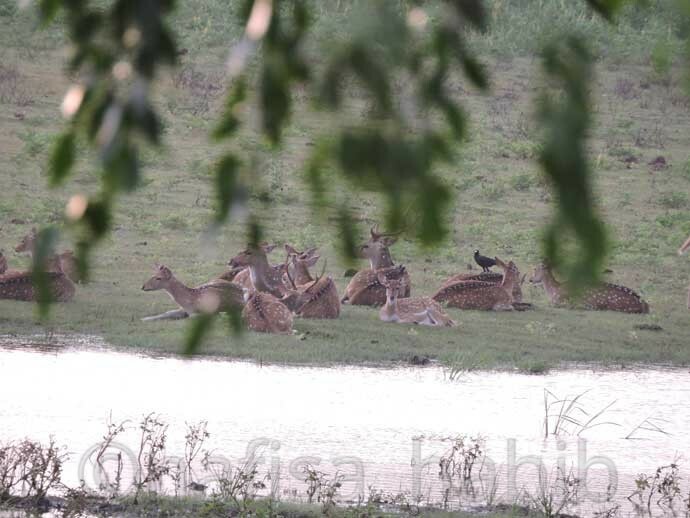 The fifth day you can enjoy three hours jeep safari tour at Yala National Park. A must-visit national park to explore the abundant wildlife of Sri Lanka. One of the top attraction here is the beautiful Yala Beach and the remote view of Elephant rock in the Indian Ocean. The entrance fee for Yala National Park is almost $28 to $30. You’ve to pay extra for the jeep. After that, I left for Mirissa and crossed over Tangalle Beach. I loved the local Matara Beach for the scenic view of Parey Dewa Buddhist Temple. The coastal areas in Sri Lanka started from Tangalle. In the afternoon surfing, sunbathing or walking on the Mirissa Beach can be the best fun. Overnight I stayed at Latheena Resort nearby Mirissa. 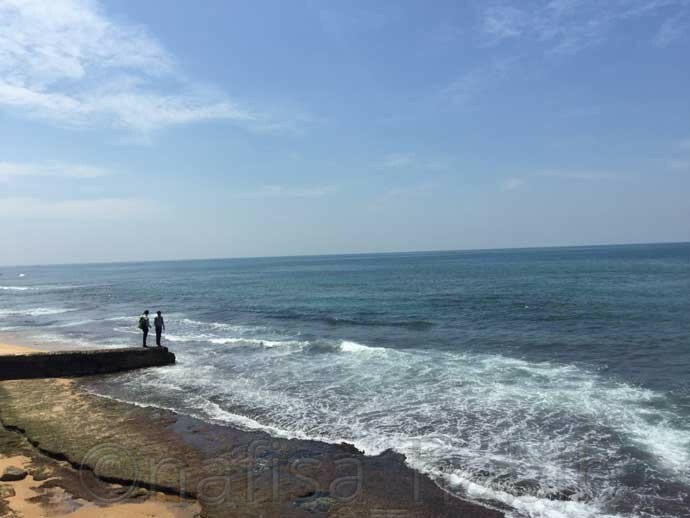 The sixth-day early morning you can leave for whale watching at Mirissa Fisheries Harbour. I took a Tuk Tuk to reach me to the harbor. I enjoyed the stunning beauty of the Indian Ocean from the boat. A boat ride including snack per person will cost you 4500 LKR. You can book the package early from the hotel for a boat tour. Weligama Beach is best for surfing. And many prefer to stay in Hikkaduwa to explore Hikkaduwa Beach and other beaches around. Galle is a popular touristic destination in Sri Lanka. 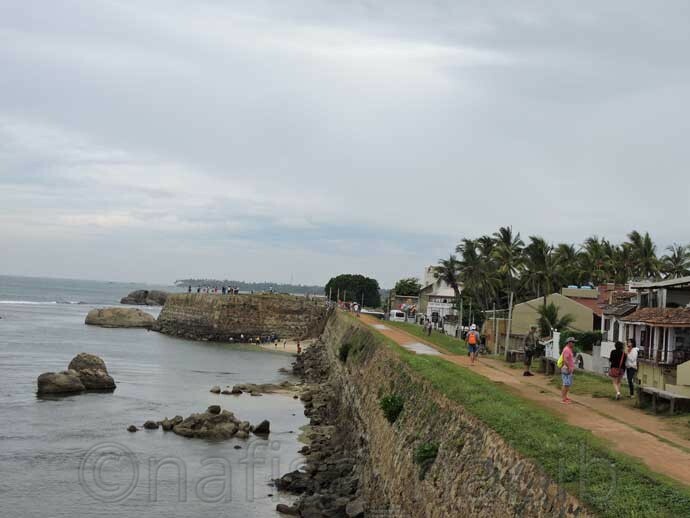 I left for Galle to explore the picturesque Galle Fort in the Indian Ocean. Historic Galle is a UNESCO World Heritage Site. 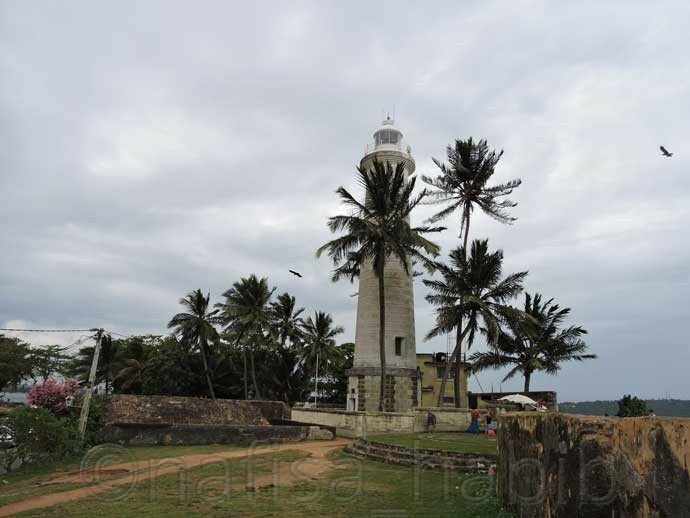 Some must-visit attractions at Galle Fort are Lighthouse, All Saints Church, Meeran Jumma Mosque and Dutch Church. The Dutch Fort Galle is free for all to visit. You can also visit Sea Turtle Hatchery Centre in Galle if got time and interest. I didn’t stay in Galle and on the way to Colombo visited one Moonstone mines in Domanwila. 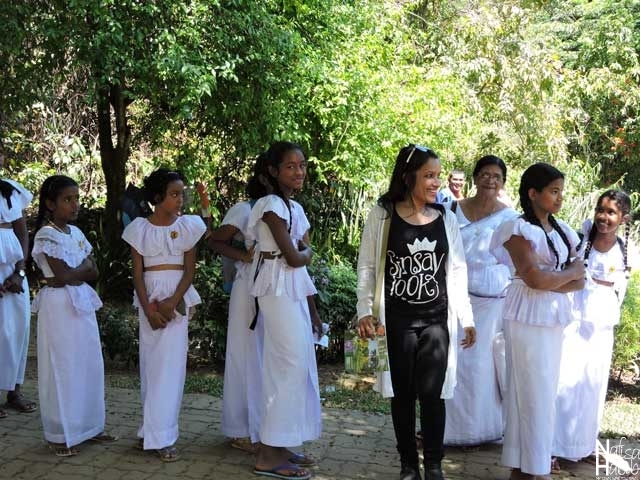 If you’re not visiting Ratnapura, the famous gemstones mining destination in Sri Lanka then you might like to see the process of Moonstone mining here. And overnight I stayed at Ceylon City Hotel in Colombo. There are some top places to visit in Colombo for one day. Some popular attractions are Independence Memorial Hall, Beira Lake, Gangaramaya Buddhist Temple, Old Parliament House, and Galle Face Green. I loved spending some time at Galle Face Green before leaving for Bandaranaike International Airport to catch my next flight to the Maldives. However, no entrance fees required to visit all the above attractions apart from Gangaramaya Buddhist Temple. Furthermore, Colombo is best for brand shopping if you got time can visit some smart shopping malls like House of Fashion and ODEL. After three days of solo travel in the Maldives, I came back again to Sri Lanka and stayed one night in Negombo to catch my next day flight to Dhaka. In conclusion, I had a fantastic time in Sri Lanka. I wish to back again for exploring the north and east part of Sri Lanka shortly. However, Haputale you’ve stolen my heart in all way. 🙂 See you beautiful Sri Lanka! You might like to book Sri Lanka tours, attractions, and activities online or check out some of the options below. You can also enjoy Sri Lanka travel on a budget by staying not so touristic areas and moving around by public transport. For longtime travelers, there are many budget options and accommodations to stay. The cost of the trip to Sri Lanka is not high if you prefer to travel like a local. There are many budget accommodations like cheap hotels, hostels, and guesthouses in almost every destination but stay a bit away from touristic places to save money. The accommodation cost is a bit high in Colombo, Galle and, Hikkaduwa. The hill station Ella and nearby Mirissa is best for backpackers. Nearby any hilly and coastal areas are best for budget travelers. The food cost is cheaper in a local restaurant. Tropical fruits are also less expensive and suitable for the tropical climate. Have a lot from the roadside vendors. Public transport service is excellent and you can travel everywhere by bus which is the cheaper one. To enjoy the breathtaking view, travel by train for long distances. The train journey is also very popular among tourists in Sri Lanka. It will cost you decidedly less, but the fun is unlimited. Bike tour can also help you to save a lot and much popular among backpackers in coastal areas to some hill stations. Tuk Tuk is also available and reasonable to move around by this three-wheeler for short distances. Mostly all top attractions and Sri Lanka sightseeing admission fee is high. If you’re on a tight budget instead of those you can explore many pristine beaches in a free of cost. Pettah Market in Colombo is famous for budget shopping but be aware of the products quality. Are You On Pinterest? Click To Save For Later Read! Any other thoughts or more information about a trip to Sri Lanka? Share your experiences in comments! There are so much to see and do in Sri Lanka.. from the beaches, mountain, temples to tea. 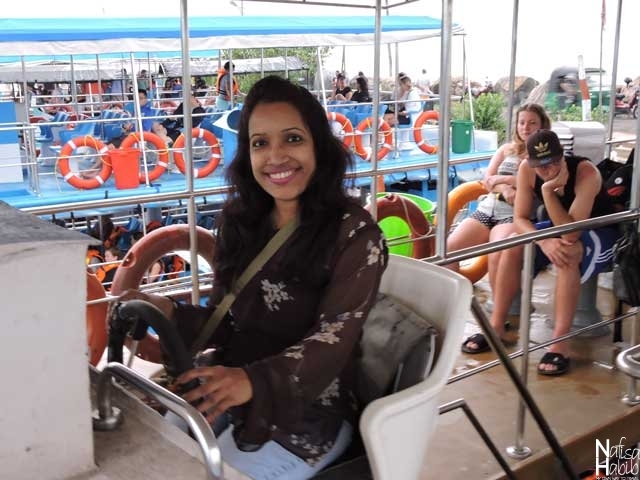 I just completed an island tour a month ago in Sri Lanka and I would recommend to hire a driver – because transportation in Sri Lanka could be pretty tough to get from one place to another. For saving time and if you couldn’t manage the public transport tickets then better to hire a taxi. it depends on your trip duration. Thank you for sharing your thoughts Kenny! This is a very detailed itinerary for Sri Lanka. Can’t believe there are a lot of things to do there. I’ve been to Colombo before but only stayed for a couple of days. Great post, Nafisa. Excellent post! I have been hearing so much about Sri Lanka lately. It seems to be the backpacker’s destination of the year. I love all of the food pictures. It looks like you ate quite well while you were there. I can’t wait to visit! Thank you Jen, definitely you should make a trip to Sri Lanka. Wow you did a solo trip to Sri lanka, that’s amazing! Thanks for sharing your itinerary, planning a trip there but not solo though. Your photos looks great, is Yala National Park something like a”Safari”? Taking note of the best time to visit Sri Lanka. I absolutely LOVE Sri Lanka, and I’m amazed at how much you were able to see! I still have tea at home from my trip in 2015, and I break it out whenever I miss the tranquility of the tea factories. Your guide is really helpful, even for people who have visited before. I also have tea with me 🙂 Really there is so much to love about Sri Lanka. Thank you! This is great! I have always wanted to do a solo trip and this has definitely motivated me to try! Love your money saving tips at the end! Why is there such a big difference in arrival visa costs ($25 to $60)? Only for SAARC nations visa cost is less and for rest more. It categorized countrywise, and those are collecting on arrival visa they got to pay while submitting the visa form at airport. Great itinerary. Sri Lanka looks like an amazing destination! Absolutely beautiful and so much to do! And so Sri Lanka is wonder of Asia. Thank you! Hehehe, my pleasure Dear. I wish you have a trip soon! There is so much to see in Srilanka. You seem to have a good time during the trip. 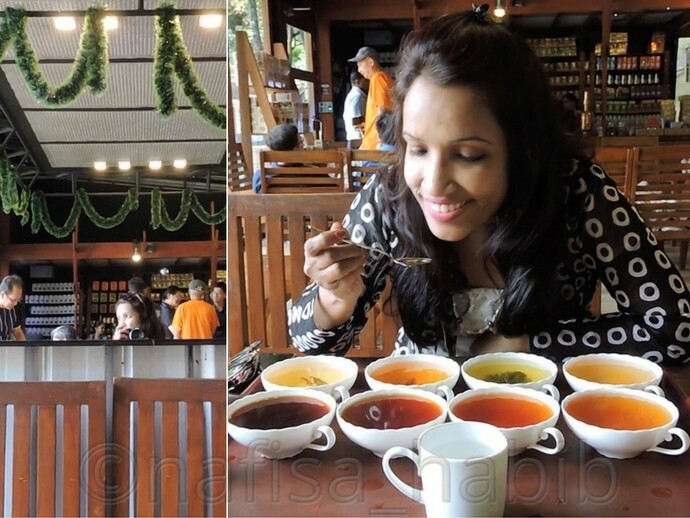 I loved the photograph of tea tasting 🙂 The tips to save money is the best part of the post. I loved such detailed and amazing itinerary, the view from Olympus plaza hotel got me. 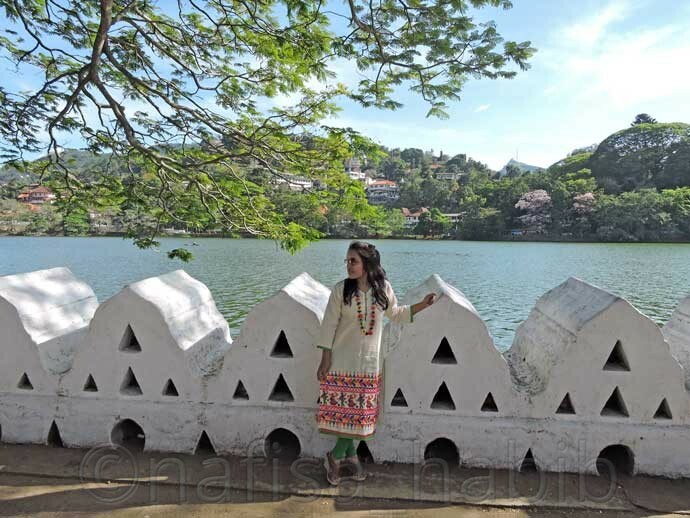 Kandy Lake has such a wonderful view of the surrounding hills and your picture at the Lipton’s seat is wonderful. Thanks for sharing your in-depth itinerary. Wow, looks like you had a great time. We visited Srilanka in 2008 during the peak war time and didn’t manage to see even half of what you did :)… I should probably do it again! Sri Lanka looks just stunning; and you look so happy! I’m so glad to know you found it safe as a solo female traveller. I’m in Sydney and Sri Lanka has been one of my top to-do destinations (and i’ve seen some great deals lately) but none of my usual companions were that keen… maybe time to take the plunge solo! 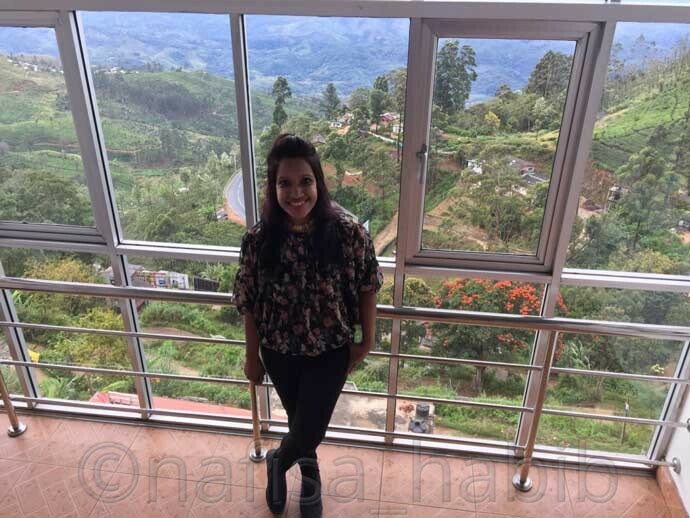 I’ve visited Sri Lanka also on a solo trip and I loved it, Nafisa. Your itinerary is awesome and a bit different than mine but I loved it! I warmly recommend hiking the Horton’s Plains and Adam’s Peak. that is a very detailed post. Loved how you have included videos and pictures. HI, May I know what’s the budget/amount spent for the 7 days you were there? Hi, actually I spent a bit more, more than 1000 USD excluding airfare. It was not completely a budget tour but possible to reduce many costs if you follow the mentioned money saving tips. Let me know if you have anything else to ask. Thank you! 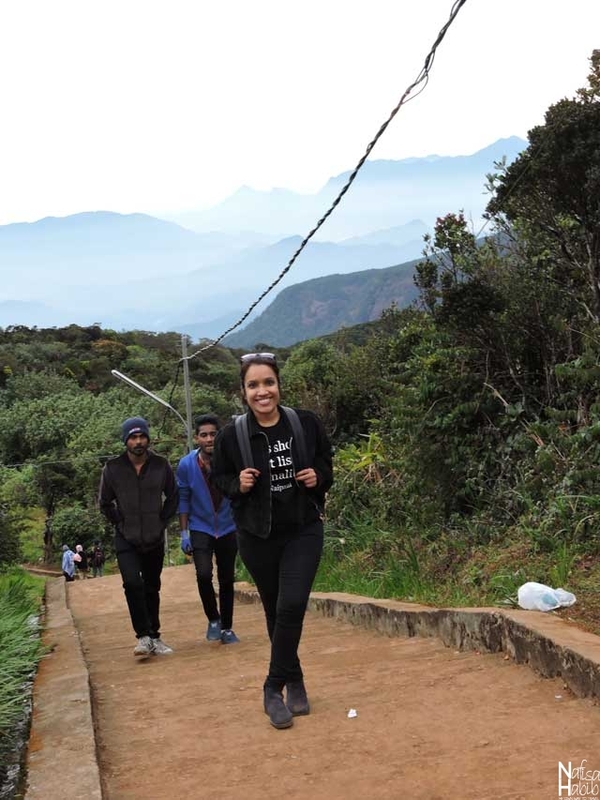 As I mentioned in the post, I stayed at Slightly Chilled Hotel in Nallathanniya and from there they managed for me one Guide and also another girl from hotel joined me to climb. It is better to join with someone as it is really the toughest one and you have to start very early to see the sunrise. It was the high season that time, too rush was there. So we started at 2 am and came back to the hotel at 9 am. But you’re traveling in offseason. Listen try to stay any guest house or hotel nearby Adam’s Peak, then it’ll be easy to get someone to join you. Else I recommend taking one Guide who can show you the shortcut way to reach. 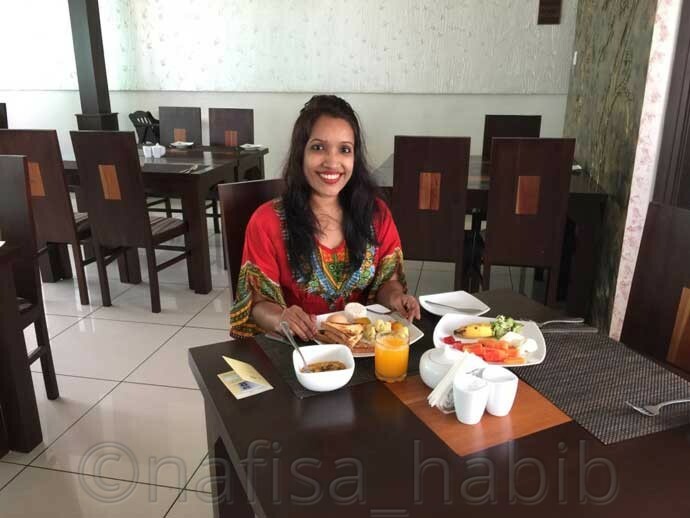 Nafisa, I am local and very impressed with your knowledge of Sri Lanka. The advice you offer to would be visitors is authentic and helpful. If I have the power, I will appoint you as a Travel Consultant to the Tourism Authority in Bangladesh – haha. Keep up the good work. We owe you. I also started following your Instagram and soon will visit Bangladesh. Hahaha, hey Mani, so glad to hear from you 😀 That’s great you’re visiting Bangladesh. BTW I really loved the country Sri Lanka and locals are simply awesome, and once again you have proved that through your inspiring words. Now I’m following you too on Instagram. Thank you so much!